Marrison had done the photography in 1974 for a book on the Sydney Green Bans movement which documented the battle between disenfranchised residents, the Builders Labourers Federation who refused to demolish workers houses in the inner city, and property developers and the state government. She was also sympathetic to subsequent battles in Tasmania to save the wilderness from the damning of the Franklin river however she was not interested in presenting nature as heroic or grandiose. Marrison’s work at Bonnet Hill was informed by her politics and desire to reorient vision. In 1978 she installed her photographs in situ so that an audience could compare photography’s ‘reality’ against the real thing. 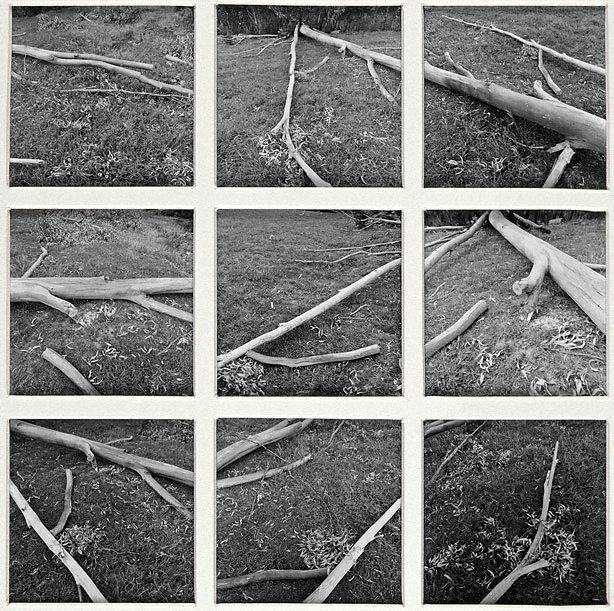 ‘Bonnet Hill bush series no 68’ presents 9 small black and white images of the site in fine detail. The supine parts of trees resting in the grass are shown from various perspectives so that what we commonly think of and would view as ‘debris’ takes on a different meaning. The subtlety of decay and rebirth is examined through the process of photography. 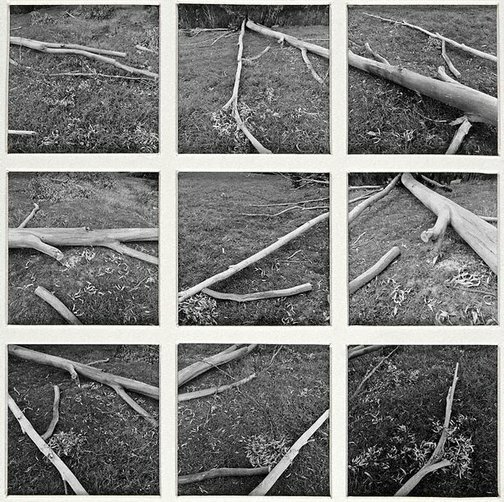 Bronwyn Clark-Coolee, Photography: Art Gallery of New South Wales Collection , 'Not 'simply' anything', pg.266-287, Sydney, 2007, 268 (illus. ), 278 (illus. ).